First trip? Too many trips to count? Either way, you can't afford to miss our Insider's Guide, an up-to-the-minute reference to all that's new and noteworthy in and around Provo. From red-hot restaurants to not-to-be-missed adventures, we'll keep you plugged in. Check back for regular updates on all the best things to see and do in the Turks & Caicos Islands. 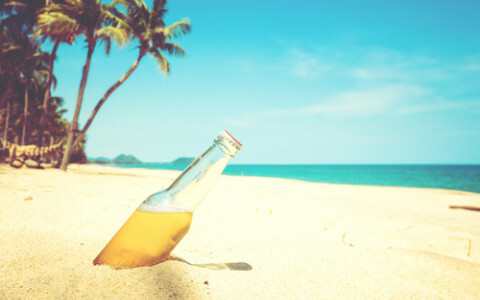 Lounging on a warm spring day beneath the Turks and Caicos sun, few things are as refreshing as an ice cold beer. If you’re a fan of microbreweries, we highly recommend a tour of the Turk’s Head Brewery, located just a quick 11-minute drive from our resort. On your tour of the state-of-the-art Turk’s Head facilities, your expert guide will teach you all the fascinating details of beer-making as you stroll along a specially-designed catwalk positioned to give you the ideal aerial view of the entire brewing process. Some of our favorite Turk’s Head libations include the robust Gon-Ta-Nort Amber Ale and the exceptionally smooth I-Ain-Ga-Lie Lager. The hour-long tours are offered Monday through Friday at 11 A.M., 1 P.M., and 3 P.M., and on Saturday at noon. Admission costs $15 and includes samples of four unique beers. 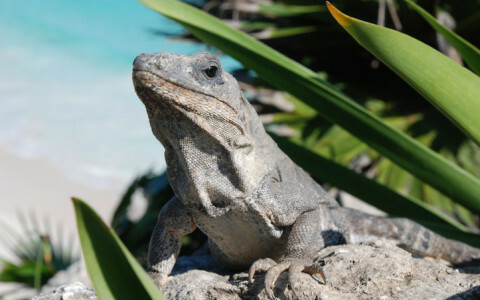 In the mood to explore some fascinating TCI wildlife? Little Water Cay, also known as “Iguana Island,” is just a short boat ride from Provo’s Leeward Marina. As the name of the island suggests, this idyllic spot is home to what’s left of TCI’s endangered rock iguana population. There are multiple tour companies ready to transport you over to Iguana Island, but we recommend Big Blue Collective, which offers guided excursions to and around the island as well as the opportunity to rent your own kayak and explore independently. Once on the island, you’re all but guaranteed to easily spot several majestic rock iguanas, which number approximately 5000. These gentle creatures grow up to 12 inches (30 centimeters) and can live as long as 20 years. However you decide to explore Iguana Island, be sure to pack plenty of water to stay hydrated and sunscreen to keep your skin healthy under the tropical sun. For such a tiny island archipelago, Turks and Caicos packs a surprising number of exclusive attractions. For instance, did you know TCI is home to one of the most extensive cave systems in the Caribbean? Located by the aptly named Conch Bar Village on the sparsely populated island of Middle Caicos, the Conch Bar Caves are a great day trip destination for the intrepid Provo visitor. 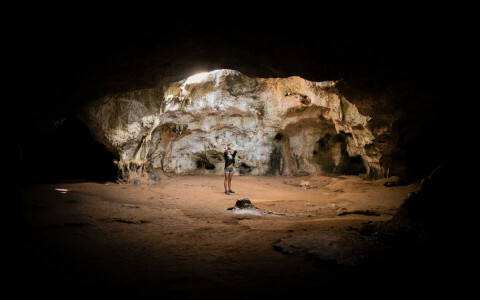 Comprising 1.5 miles of stunning chambers and passageways, the Conch Bar Caves boast exquisite stalactite and stalagmite formations, tranquil tidal lagoons, and four fascinating bat species. You’ll also spot graffiti left by explorers who first mapped the caves over a century ago. Best of all, since the Conch Bar Caves are located within a National Park, your tour of this natural wonder will be led by one of the expert guides employed by the TCI National Trust. If you’ve ever had the pleasure of visiting Turks and Caicos, you know that our little piece of paradise is the perfect place not just for relaxation, but also for adventure. That’s why we’ve made it a point in the past to highlight the many fantastic eco-tours available through Big Blue Collective, including kayaking, paddleboarding, kiteboarding, snorkeling, and more. 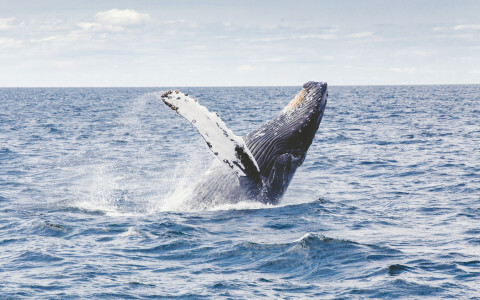 During these winter months, however, we want to recommend these eco-tours for another reason: whale watching. From December through April, droves and droves of majestic humpback whales travel thousands of miles to mate in the warm waters around TCI. For this reason, every Big Blue eco-tour is on alert for whale sightings, which often include such breathtaking displays as breaching, chin slapping, fin slapping, and tail lobbing. For a chance to see these massive and surprisingly graceful marine mammals at play in their natural habitat, consider adding one of Big Blue’s eco-tours to your holiday itinerary. Christmas is a magical time of year wherever you may be. When you happen to be in our tropical paradise, though, there’s a whole range of outdoor festivities to instill Yuletide cheer. 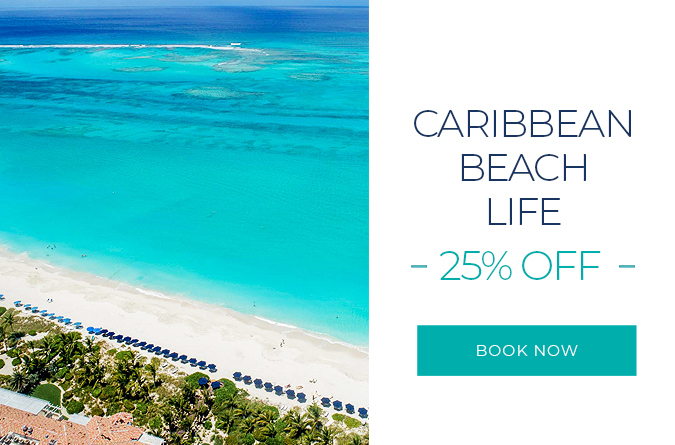 In addition to the exquisite lighting displays that bedeck Grace Bay Beach throughout the month of December, you’ll also be treated to a one-of-a-kind Turks & Caicos celebration, the Maskanoo Parade. Every year on December 26, all of Provo turns out for this lively masquerade festival, which descends from the dance, song, and other traditions that migrated from Africa to TCI in the 18th and 19th centuries with the slaves brought to labor on TCI’s salt plantations. 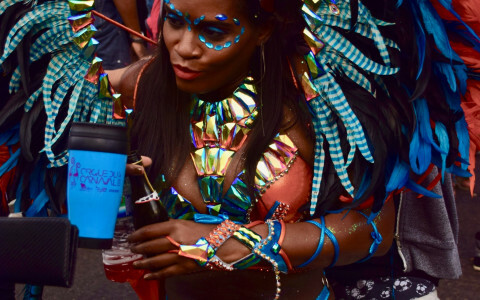 Pulsing drums, brilliant masks, and brightly-painted costumes will fill the streets at the Regent Grand shopping area and Saltmills Plaza during this annual indulgence in sumptuous island street fare, adrenaline-pumping live music, and other merry-making that lasts well into the evening. If you’re looking for opulent accommodations in a tropical paradise with all the cutting-edge amenities the 21st century has to offer, you can’t do better than Bianca Sands on Grace Bay. That’s not all we have to offer, though. In addition to the best in contemporary luxury, guests of Bianca Sands can also enjoy the many centuries of fascinating history packed into our compact island nation. One of our favorite sites, Cheshire Hall Plantation, is just a short 10-minute drive from our resort. When the British Crown officially relinquished control of its American colonies, Loyalist Thomas Stubbs decided to relocate to Providenciales (or Blue Caicos, as it was known at the time), where he founded Cheshire Hall, a cotton plantation that would grow to encompass some five thousand acres tended by hundreds of slaves. Today, the ruins of Providenciales’ best-preserved plantation site are open to the public on Tuesdays, Wednesday, and Fridays. Visitors will also have the opportunity to purchase handmade straw and ceramic goods crafted by local artisans. Have you ever arrived at your dream vacation destination (doubtless a Caribbean island), settled down on the sand for a leisurely afternoon, then reached into your beach bag, only to discover that the novel you’d picked out specifically for this trip had been forgotten at home, now thousands of miles away? If you discover yourself in this predicament, don’t fret. As a guest of Bianca Sands, you’re less than ten minutes away from the most charming family-run bookstore in all of Turks and Caicos. For over two decades, the Unicorn Bookstore has provided residents and visitors an extensive selection of books, magazines, games, and more, making Unicorn a great place to shop for that perfect bit of beach reading, toys to entertain the kids, or gifts for friends and family back home. Not sure exactly what you want? Ask Mark or Kiki (owners since 2012) or any of the other staff. They’re eager to help you find the necessary literary addition to an otherwise perfect vacation. Every Thursday evening from 5:30 to 9:30 P.M. all of Turks and Caicos comes together for a massive celebration of all things TCI at the Island Fish Fry. Located in beautiful Bight’s Park, just eight minutes by car from Bianca Sands on Grace Bay, the Island Fish Fry welcomes tourists and residents alike to enjoy singing, dancing, storytelling, live local bands, and some of the best Caribbean cuisine you’ll ever taste. We’re talking about pots of boiling lobster, plates piled high with crab-n-rice, and fresh corn still simmering from the grill. Participating restaurants include island favorites Bugaloo’s Conch Crawl, Cactus Bar & Grill, Froggie’s on da Beach, Hole in the Wall, Miss Moonies, and many more. Island artists and artisans will also be plying their wares, meaning you’ll have the chance to pick out that perfect handcrafted item for your home or office. So don’t forget: Thursday evening, Bight’s Park, Island Fish Fry. It’s the one TCI event that everyone agrees is an absolute must for your week. If you’re looking for a fun day trip during your stay in Turks and Caicos, we recommend heading over to Salt Cay, the second largest among the Turks Islands. Named for the once vibrant salt industry that centered on the island, Salt Cay is now a popular destination for those looking for quiet beaches and outstanding scuba diving. Divers will be especially delighted to explore the wreckage of British warship HMS Endymion, which now sits about forty feet below the ocean’s surface. In addition, with its large and variegated coral reef (the same one that sent the Endymion to Davy Jones’ locker), Salt Cay also offers excellent snorkeling opportunities. Flights to Salt Cay leave regularly from both Providenciales and Grand Turk. You can also take a ferry from Grand Turk, which provides a leisurely hour-long boat ride to the enchanting island. Housed in a charming white-washed building in Grand Turk’s Cockburn Town, the Turks & Caicos National Museum may look small, but its two floors are packed with exhibits showcasing the breathtaking scope of TCI history. Do you ever dream of winning big at the roulette wheel? Do you fancy yourself an expert poker player? Feel a surge of excitement as the numbers start to whiz by on the slots? Whether you’re a Vegas regular or have never set foot in a casino before, Casablanca Casino, located less than five minutes by car from our hotel, is the perfect place to enjoy a rousing night of classic casino games. With a dozen live game tables, you’ll be able to choose from baccarat, blackjack, Caribbean stud poker, craps, roulette, the ever popular Texas hold ‘em, and much more. If you’d prefer to play the slots, Casablanca has you covered there as well, with 85 machines at your service. You can also enjoy the wide selection of cocktails, beer, and wine at the Casablanca Lounge and Bar. No need to worry about the drive, either, since the casino will provide free transportation to and from Bianca Sands. With the impeccable service and luxury of Bianca Sands, not to mention the unmatched beauty of Grace Bay Beach, we’d absolutely understand if you never wanted to leave the resort. If you happen to be in the mood for an adventure, though, check out Eco Tours with Big Blue Unlimited, Turks and Caicos’ most trusted watersports and eco-tour company for close to 20 years. Big Blue’s signature adventure, the Kayak Eco Tour, lasts 3 to 4 hours and can accommodate small or large groups. In addition to teaching basic kayaking skills, your expert guides will point out the unique flora and fauna that make TCI a one-of-a-kind ecosystem. Also popular is the Standup Paddleboard Eco Tour, which is capped at 6 guests and 2 hours. You’ll get all the dedicated service of the Kayak tour, plus an incredible core strength workout. Finally, the Snorkel Eco Tour takes up to a dozen guests on a 4-hour exploration of one of several sites around the islands (the exact spot is determined based on the time of year). The guides are eager to teach essential snorkeling techniques and the tour is appropriate for anyone who is a reasonably good swimmer.